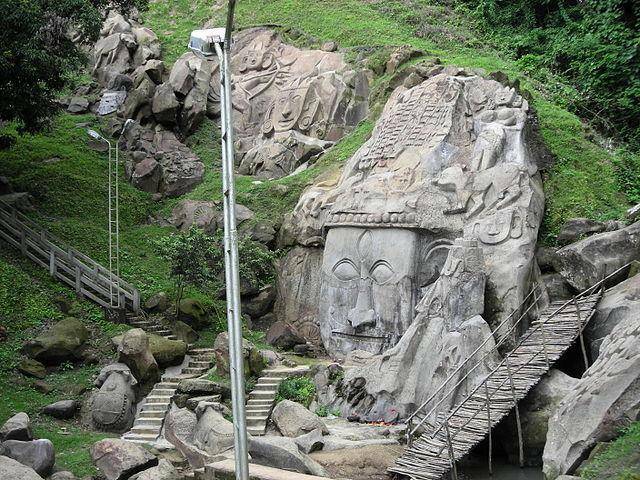 About 180 kms from Agartala, the capital of Tripura lies Unakoti hills, are ancient rock-cut carvings and stone images of Lord Shiva. Some say the carvings are as old as 8th or 9th century and these iconic murals and carvings are nestled in the backdrop of natural beauty and scenery. During the month of March- April, thousands of pilgrims visit Unakoti as it is considered as a holy place of worship for followers of Lord Shiva. Images of Shiva, Ganesha, Nandi Bull, Goddess Durga and other rock-carved figures and stone images are found here.